Windows 10 build 17040 is now rolling out for Fast and skip ahead ring insider members. 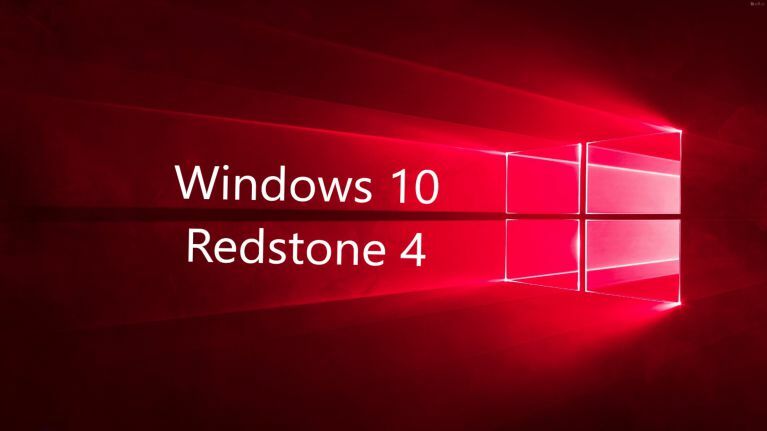 The new Redstone 4 update comes with new features and other improvements to the OS. With the latest build, you can now Adjust the brightness of SDR content on your HDR display. In addition, the build also added a new gesture so you can automatically commit your text and clear out the text in the handwriting panel. Check out more details below. Update: Windows 10 build 17040 ISO files are now available here. Adjust the brightness of SDR content on your HDR display: You can now adjust how bright SDR content appears when running in HDR mode on the desktop. On an HDR capable system, you will see a slider in the “HDR and advanced color settings” page under Settings > System > Display. This is one of the improvements to HDR image quality that we have planned based on feedback from Insiders. Shape-writing with wide touch keyboard: With the Fall Creators Update we introduced shape-writing input for one-handed keyboard is also now available when using the wide keyboard! Improved Insertion Gesture: Windows 10 build 17040 updated the insertion gesture (to add space between words or letters) to now be a small caret (see below gif for a demo of what it looks like, along with a cameo of our joining gesture). A New Commit Gesture: Windows 10 build 17040 added a new gesture so you can automatically commit your text and clear out the text in the handwriting panel. This gesture looks like a 90 degree angle bracketing the end of your text – see gif below for an example of how it works. Windows 10 build 17040 fixed a typo in the Windows Defender Security Center’s Controlled Folder Settings. Fixed an issue resulting in Narrator not saying anything when the candidate bar for hardware keyboard prediction opened. We also fixed an issue where Narrator wasn’t reading the word candidate when the focus moved into candidate bar. Addressed an issue where the “Working on updates” screen was black with a small theme colored box instead of entirely theme colored. Windows 10 build 17040 fixed an issue resulting in UWP app sometimes leaving drop shadow leftovers after closing the window. Windows 10 build 17040 fixed an issue where the XAML Reveal light wouldn’t follow your mouse until the first mouse click – instead showing the entire element lit. This issue was visible in Settings and other XAML based UI in the last few builds. Windows 10 build 17040 fixed an issue resulting in changes to Feedback Frequency in Feedback & Diagnostics Settings not persisting after leaving the page and returning. Addressed an issue from recent flights where the “Add” button in the PIN section of Sign-in Option Settings didn’t work for local accounts. Windows 10 build 17040 updated the icon for Collections in Cortana. Due to a bug that was introduced in this build, you may not receive all of your notifications from Cortana. Reminders are unaffected by this bug, but you may not receive other Cortana notifications that you are expecting. We are working to resolve this issue and will release the fix for an upcoming flight. Insiders with certain third-party antiviruses and OneDrive Files on Demand enabled may see an error citing “OneDrive cannot connect to Windows”. Windows 10 build 17040 ISO files will be available on our website. Check back later for the Windows 10 build 17040 ISO download links.